You threw a heck of a party at your place last night, the guests had a fantastic time, may be your neighbours didn’t appreciate it too much but they are the last thing you care about when you have to nurse a hangover and begin cleaning the house next morning. There is a way out of this – you can call us to take care of your after party clean up while you relax and wait for those Alka-Seltzers to do their thing. Dealing with a house party aftermath is not the most pleasant of things, especially with that nasty throbbing headache reminding you of all the cocktails you had last night so why not save yourself the trouble and get us to resolve the matter for you. Our expert cleaners will come equipped and prepared to tackle even the nastiest of after party clean ups and trust us we’ve seen it all. Whether it’s cake on the ceiling or toilet paper on the trees outside, we will send you a team of cleaners to take care of the situation in a matter of hours. If there are any dead rock stars in the pool though, it might be a little out of our field of expertise. 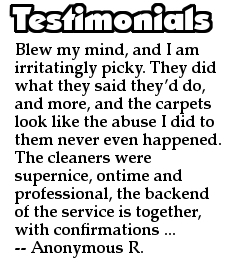 Our after party cleaning service is affordable and quite comprehensive. The cleaning will encompass all areas and rooms of the house where the raving crowd from last night has left its mark. We will not shy away from the bathroom and the toilet as we know that all good things begin and end in there, there is no mess too big for us to handle. We will one go better and pick up and throw out all the rubbish and empty bottles accumulated by the little gathering last night, if by any chance we find that missing guest passed out behind the couch, you will be duly notified. Customers can enjoy our quality and affordable after party cleaning seven days a week with advanced bookings also available. 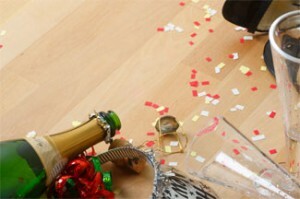 Call now and let us deal with the party aftermath for you!